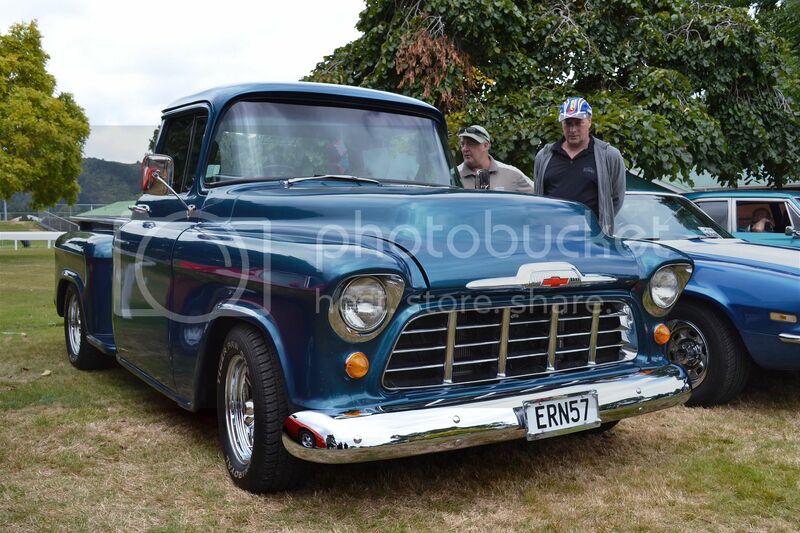 I cruised over to Trentham Racecourse today to the 2014 American Car Day. 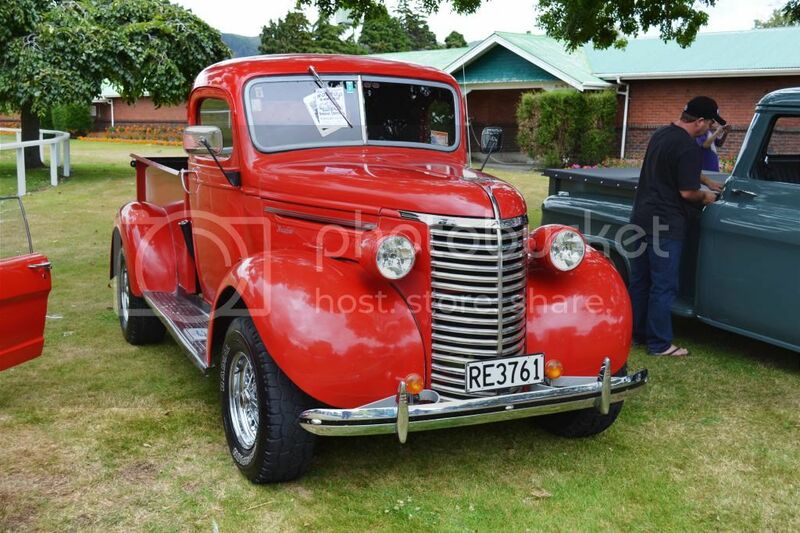 Firstly let's have a look at some of the trucks present. 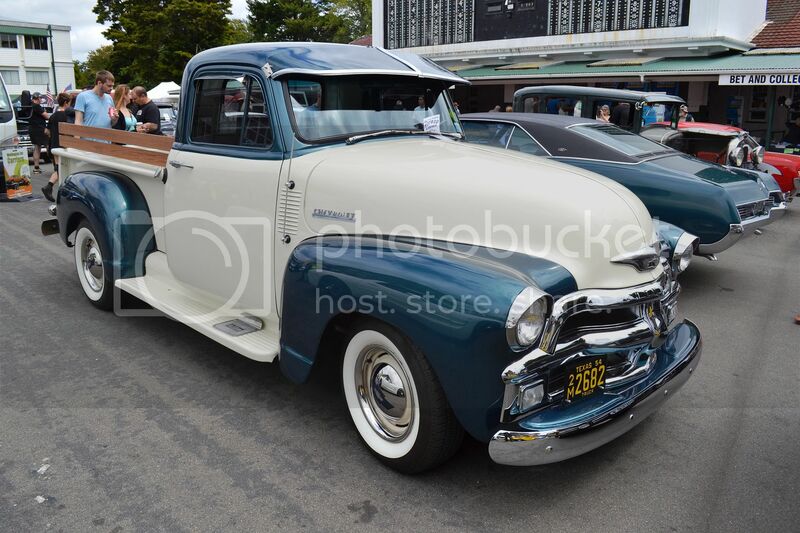 If I was to own an American vehicle, this 1954 Chevrolet would be the sort of thing I would like. Here's another view of it. Lovely colours. 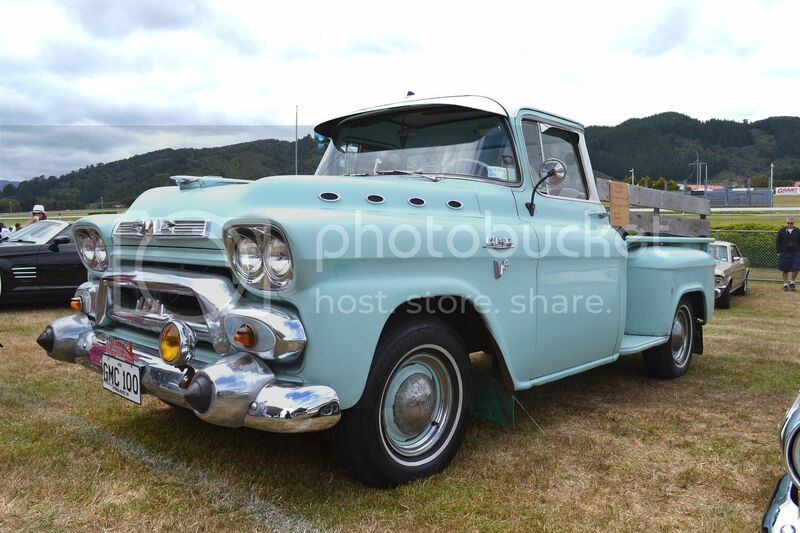 1958 GMC 100 in original condition. 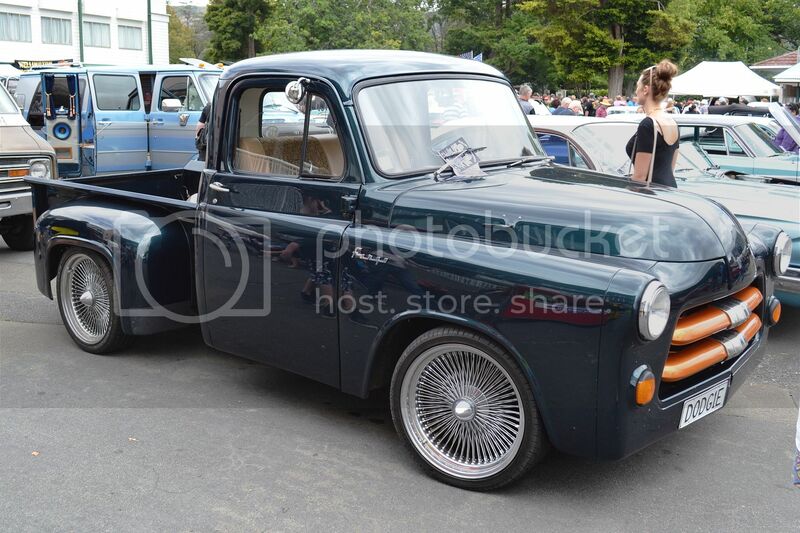 '56 Chev pickup with much modifications. 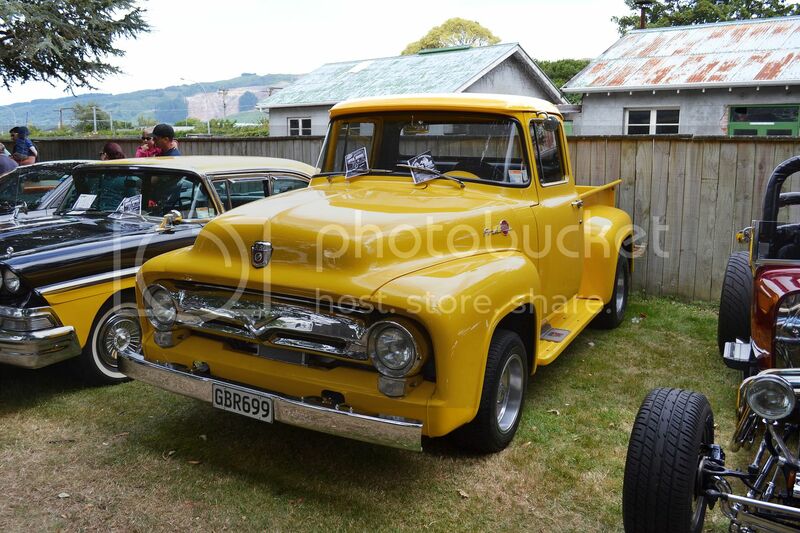 '56 Ford F100 in a hue you wouldn't miss. 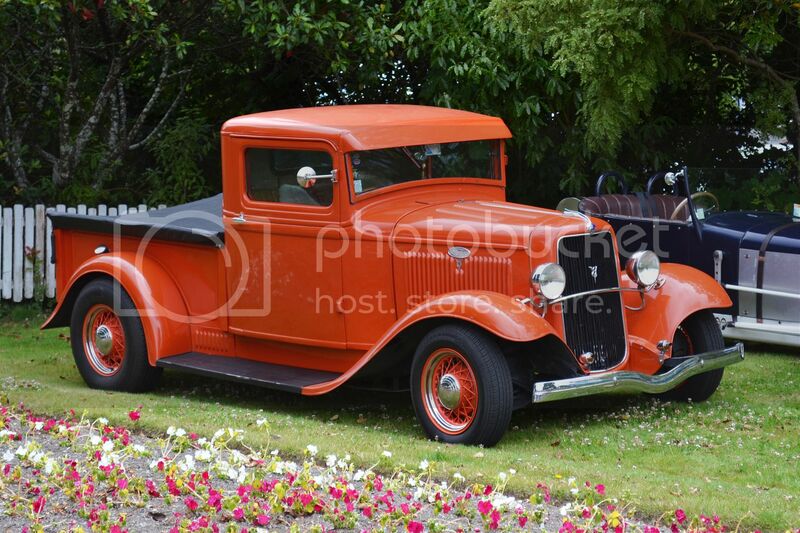 This 1934 Ford V8 pickup is a little more squat than the day it was built. 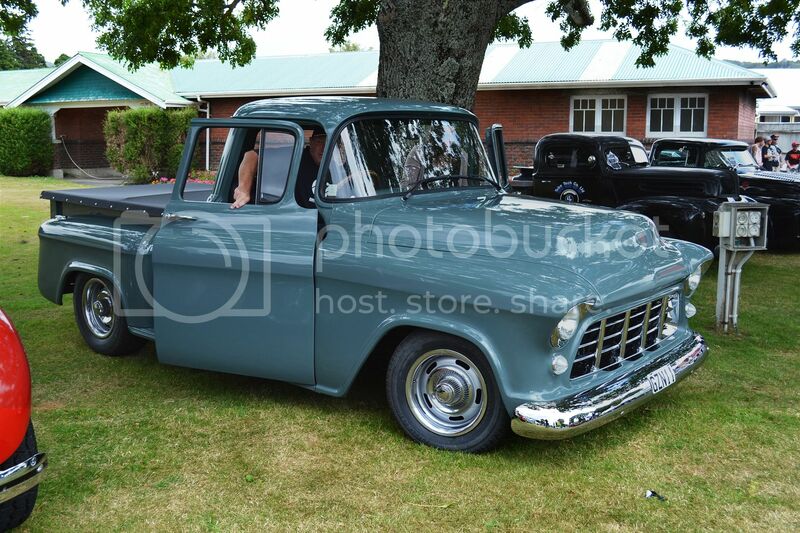 Another Chev pickup. This example from 1938. 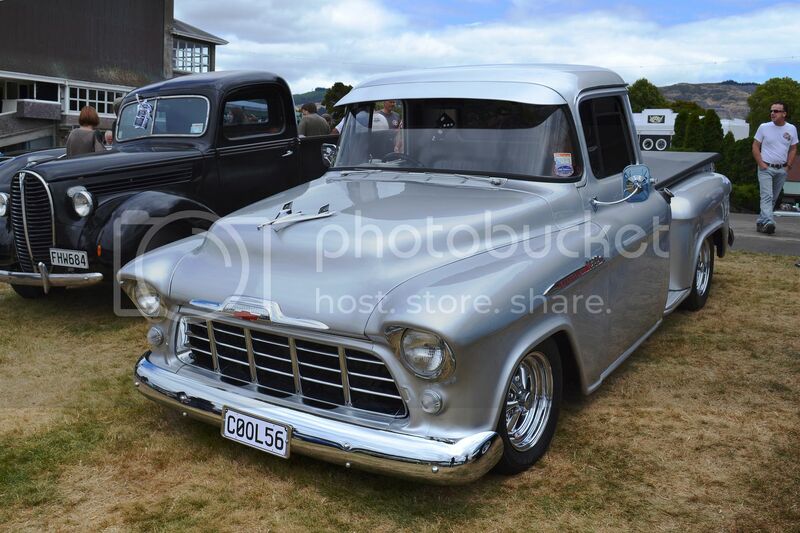 And yet another 1956 Chev. 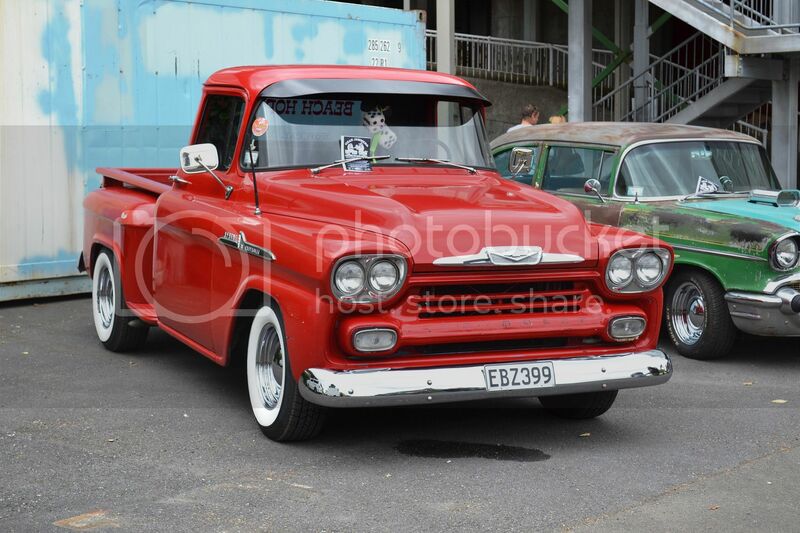 I have snapped this 1958 Chev Apache before, but it's well worth a second look. 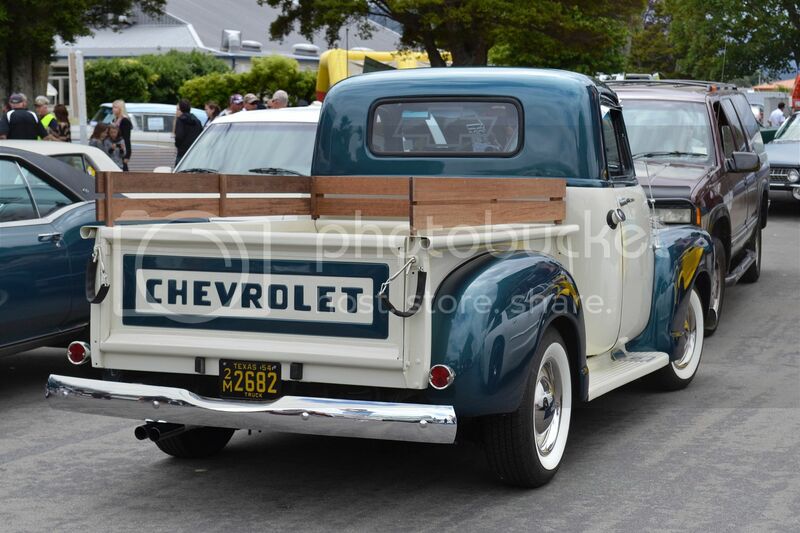 Yep, it's a Chev again. 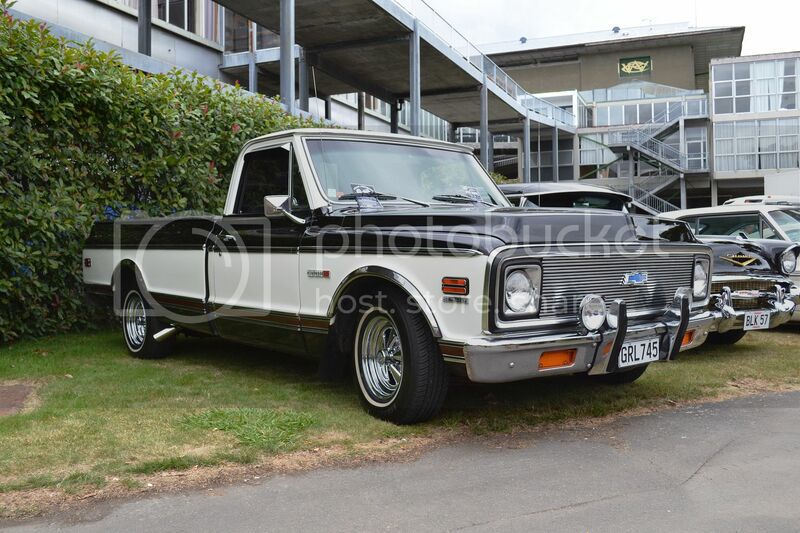 A 1972 Cheyenne 10 this time. Things From Here and There. A Couple of Black & Whites.